One of the things I love about Singapore is the variety of beverages available. I cannot count the number of brands/flavors/SKUs you can choose from at hawker centers/supermarkets/convenience stores. Every time I head down to Singapore I always find myself checking out the nearest 7-Eleven store for new drinks. 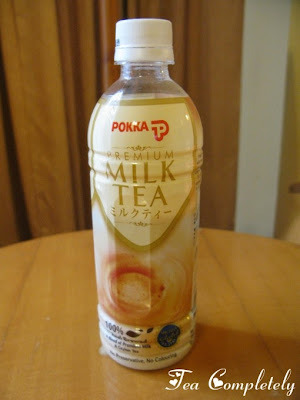 My latest find is the ready-to-drink milk tea. I was jumping up and down with this discovery and Sweetie immediately put it in the grocery basket.